Remember 911TruthNews, the site that was started by the Truth Action folks to be an alternative to 9-11 Blogger; the site that was going to focus on the "real" 9-11 Truth Movement, and not get caught up in the Controlled Demolition nonsense? Last updated in mid-October. This parrot has ceased to be. It has shuffled off the mortal coil. It is an ex-parrot. One of the most common claims of the increasingly inaccurately named 9/11 Truth movement is that of a "strawman" argument. This claim is assisted by the fact that no two truthers can agree on much, but the fact is that a fair amount of people can be found who support even the most idiotic claim, unfortunately. This recent article on the AE911Truth site attacking Chris Mohr could be Fisked at great length, but hey, it is Christmas and I have better things to do, but I thought I would point out this "Strawman" claim. Feel free to debunk the rest of the article in the comments between opening presents and drinking hot cocoa. • If 4500 degree nanothermites were used to pulverize almost every inch of every concrete floor, then how could there have been millions of sheets of paper with an ignition temperature of only 451° raining down on the sidewalks? This is a strawman argument. To my knowledge, nobody has suggested that nano-thermite was used “to pulverize almost every inch of every concrete floor.” To bring the building down, the steel load-bearing columns would have to be cut and gravity would do the rest. No nano-thermite or explosives would be used on the floors at all. Any use of nano-thermite would be targeted at the connections or the columns themselves. Ninety thousand tons of struct... of concrete has been pulverized to a fine talcum powder, though these uhh, intense explosions, including its metal decking and the floor trusses that were supporting, it, uhh completely gone and blown outside the perimeter. The University of Tennessee-Chattanooga held a Truther confab recently, breathlessly reported at Flogger. The groundbreaking event, aptly coined “The Science of 9/11”, that was held at the University of Tennessee at Chattanooga (UTC) on November 15, 2011, proved to be a resounding success as depicted in the local Times Free Press. The evening began with the landmark DVD from Architects & Engineers for 9/11 Truth called “9/11: Explosive Evidence -- Experts Speak Out”. The documentary, which assembles the startling evidence from and testimony of over 50 technical and building professionals calling for a real WTC investigation, was shown at the University Center Auditorium. Following the film, an in-depth panelist discussion was held with a lively Q&A segment. However, Foster continued by claiming that heat from fires could weaken columns and bar-joists enough at the impact zone to cause a sudden collapse such as a sledgehammer dropped on to a toothpick. This phenomenon, he stated, could cause an exponential chain reaction, reaching free-fall acceleration.An audience member and AE911Truth petition signer refuted Mr. Foster’s claim very eloquently. “There is not enough energy, there is a tremendous energy deficit, there is no jolt, and there is no deceleration,” he said. Another audience member brought up a good point: How did the bottom three-quarters of the building reduce its strength to a “toothpick” causing the entire 110 floors to fall in roughly 10 seconds? “That is ten floors per second!” she pointed out. “I can’t even clap my hands that fast. Can you guys?” Several audience members attempted, but were unable. Heheh, it's clunkety-clunk all over again. So if somebody could clap their hands that fast, it would prove the official story was true? Another audience member brought up a good point: How did the bottom three-quarters of the building reduce its strength to a “toothpick” causing the entire 110 floors to fall in roughly 10 seconds? “That is ten floors per second!” she pointed out. “I can’t even clap my hands that fast. Can you guys?” Several audience members attempted, but were unable. They should at least cite the originator of this "scientific" experiment. Sophia from 9/11 Mysteries, from December of 2006. Regardless, I tell people, these buildings fell in 10 seconds, they’re 110 stories. Now let’s just use our mouth to demonstrate this. If a pancake collapse can be described as “clunkity clunk” How many times can you say that in 10 seconds? And if one floor is “clunkity clunk clunkity clunk” you cannot say that 110 times in 10 seconds. So let’s even give it the benefit of the doubt, let’s just take off the “clunk”. Let’s just say “clunkity”. You can’t say that in 10 seconds, 110 times. But remember, this is science. I am now going to go prove the Theory of Relativity wrong by turning my flashlight on and off as fast as I can in the bathroom mirror. 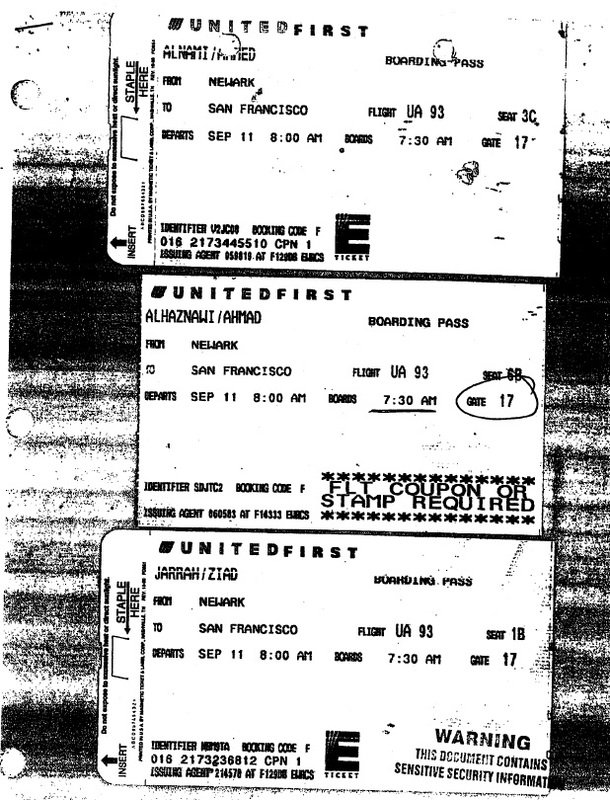 Earlier we did a post on the boarding pass for Flight 93 hijacker Ziad Jarrah, now MikeW from 911Myths has obtained copies for the other hijackers and the passengers. Reading through their names, although an important part of history, was rather unsettling. Even more disturbing is the fact that there are people who think they never existed, never boarded the plane, or are living on a tropical island somewhere. A flow-chart explains it all. Lawyers for 9/11 Tru... Oh look, a Squirrel! I have been following the April Gallop lawsuit comedy for quite a while now, and thought it had died out, but it turns out one of the lawyers involved filed another appeal of his fines, along with a pseudo-apology. It would help his case though if he could keep a consistent train of thought for more than a few pages. FAA flight controllers in Boston and elsewhere gave timely notice to military authorities that the four airliners were out of contact and possibly hijacked.According to normal protocol and practice USAF-NORAD jets would have been readily able to intercept all four planes, but launchings were inexplicably delayed and misdirected, and three of the planes got through to their targets. The evidence of one's own eyes also proves that no airliner crashed into the Pentagon, as claimed by authorities (and conspirators) in the aftermath of the bombing in which the plaintiff and her childwere injured. 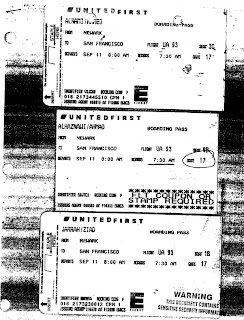 In view of the plain evidence, photographic and physical, and the telling, wholly implausible lack of such evidence supporting the official version,the withholding of 85 Pentagon surveillance videotapes, and the first-hand testimony of the plaintiff and numerous others, the claim that no airliner hit is certainly far from conclusory. It is entitled to be taken as true. How hard is it to keep a consistent narrative for 4 paragraphs? Geez, hire a secretary or something. Once again a hat tip to LashL, the Goddess of Legaltainment. Down-on-her-luck protester Tracy Postert spent 15 days washing sidewalks and making sandwiches at Zuccotti Park — then landed a dream job at a Financial District investment firm thanks to a high-powered passer-by who offered her work. “I never thought I would be doing this,’’ Postert admitted to The Post. 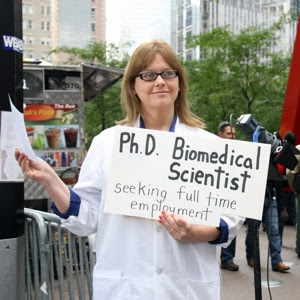 The Upper West Sider, who has a Ph.D. in biomedical science specializing in pharmacology, was unemployed and had all but given up on finding work in her preferred field of academia when she joined the movement in October. Coverage has been split, with some people denouncing her for betraying the cause and going over to the enemy, while others are seeing it as a vindication of capitalism. I also noticed that several have wondered why a person with a doctorate in the biomedical field would have a tough time finding a job. Might it indicate that she has other issues? Savage? Get real. I haven't savaged anyone. I made fun of you. I danced when I got proved 100%+ correct by your admissions. That doesn't qualify as "savage". Spreading rumors about your alcoholism and past as a child molester were a bit stronger, but AT LEAST I GOT THE RIGHT PERSON! You accused me of faking my identity, etc. Besides, if you abuse alcohol, you should expect to have that follow you around forever, because it does speak to your mentality and self control. Molesting your daughter, if true, was unforgiveable. I am a former Marine Corps officer who is both a moderate drinker and would never molest anyone. My daughter--who is married and pregnant with her second child--is the joy of my life. Someone who would spread such malicious and unfounded claims is despicable and has no place in the public school systems of this country. I have reported her to the Department of Education of the City of New York--and not for the first time! I hope it will result in action. This grotesque behavior by a close associate of Judy Wood and John Hutchison raises the most serious questions of moral responsibility. Judy Wood has met my daughter. My wife has looked after her cats. I have never made any argument about her that could be compared to the exhibition of moral decadence displayed here by Tracy Postert. If Judy Wood has a fiber of moral decency in her body, then she can demonstrate it by denouncing this extreme and despicable conduct by Tracy Postert. Otherwise, Judy will impugn herself by her silence. Are there no bounds to the corruption of the members of this cult? We'll see if Postert can keep her job long; the craze is obviously strong with her. Medical Marijuana Barbie is a character created by Tracy Blevins, comptroller for New York's Medical Marijuana Party, and is the star attraction of Blevins' one-woman "Medical Marijuana Traveling Circus Sideshow," designed to garner support for the legalization of medical pot. 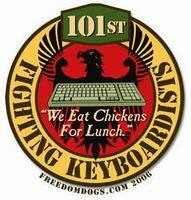 Hat Tip: JREF forum member AW Smith. 1. A bill in the Senate being co-sponsored by John McCain would apparently make Barack Obama a dictator. Who woulda thunk it? 2. A civil liberties oversight board is still dormant. 3. Some nonsense about the Oklahoma City bombing by Tim McVeigh. 4. Two tributes to Lynn Margulis, who passed away about a week ago. Our condolences to her family. She became a Truther late in life; one presumes she will be remembered more for her legitimate contributions to science involving small organisms and not 9-11 nuttery. 5. Two posts about Bush and Blair getting convicted of war crimes by a kangaroo court led by a Truther in Malaysia. Glenn Greenwald should know better than to give credence to this crap. 6. A post by Washington's blog on the similarities between OWS and the Tea Party faction. I like what he says at about 1:45; talking about debunkers he says, "They'll make us sound like fools." Truer words were never spoken. The rest of the time he mostly babbles.